We’re Having a Pajama Party! What is sillier and more fun than coming to school in pajamas? 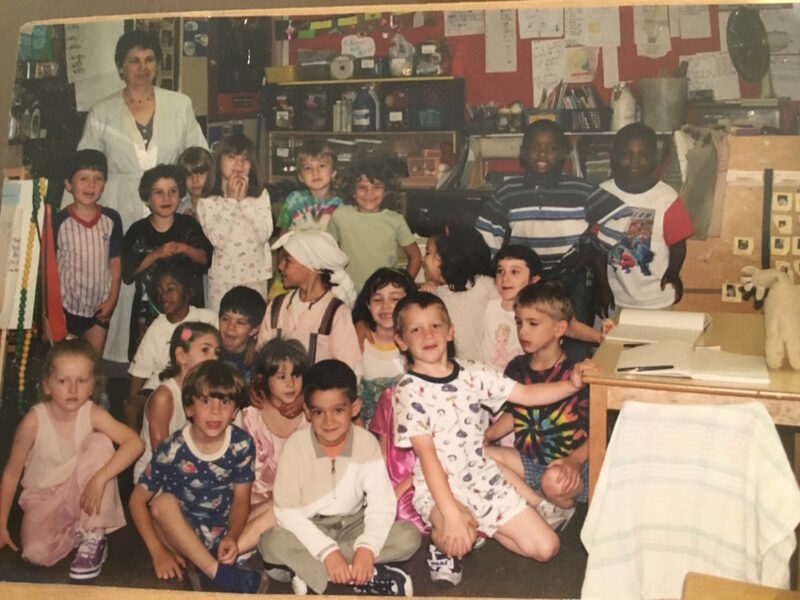 Pajama Party Day seems to have become a tradition in many elementary schools. I have a proposal. What about having a pajama party week? Read aloud stories about sleeping, bedtime, and dreams. Think of the rich discussions that these stories might encourage. Some wonderful books to read (and there are so many more than these!) could be Goodnight Moon, by Margaret Wise Brown, Ira Sleeps Over by Bernard Waber, There’s a Nightmare in My Closet, by Mercer Mayer, and Time for Bed by Mem Fox. Children might share stories about their “going to sleep” routines. Singing lullabies such as Morningtown Ride, Brahms Lullaby, Hush Little Baby and Woody Guthrie’s Sleep Eye. Parents might share lullabies from their native lands or from their childhood. During Choice Time, you might open a sewing center where children stitch pillows for the big pajama party day that would culminate this mini- study. The writing center might be stocked with little, empty booklets ready for new bedtime stories to be written and shared at meeting time. Perhaps some children might even write original lullabies. On the big day, when everyone comes to school in pajamas (even the teacher might be wearing a robe!) children at a cooking center could make pancakes for wake up time after lullabies have been sung, bed time stories read, heads rest on student-made pillows and lights go out for a few minutes. Who doesn’t enjoy waking up to pancakes? This entry was posted in Investigating Choice Time: Inquiry, Exploration, and Play and tagged Bernard Waber, Brahms Lullaby, Goodnight Moon, Lullaby, Margaret Wise Brown, Mem Fox, Merce Mayer, Morningtown Ride, Pajama Party, Time for Bed on June 18, 2017 by Renee. I absolutely love this idea. What a great community building opportunity! Hi Amy. I did have something about lullabies and going to sleep stories. Here’s what I had: Children might share stories about their “going to sleep” routines. Singing lullabies such as Morningtown Ride, Brahms Lullaby, Hush Little Baby and Woody Guthrie’s Sleep Eye. Parents might share lullabies from their native lands or from their childhood. It’s cool to have a pajama day/week. We aren’t allowed to cook with our students. Can you believe such a rich language/sensory/science/math activity was taken out of Pre-k.
Actually that’s difficult to understand. Where do you teach? What about cooking without heat (squeezing citrus fruits, making salads, making a dip to have with carrot and celery sticks?) I’m sorry to hear about this, really sorry.